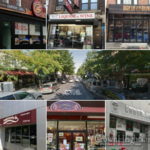 Writing for the Jewish Daily Forward, Steven Davidson, a secular Jew who had negative preconceptions about Kosher cuisine, describes his and his brother’s amazing experiance at last week’s ‘Taste of Crown Heights’ kosher food crawl. There are some places you’ll almost never find a secular Jew at. Shabbat services. A Richard Spencer rally. NASCAR. The Orthodox section of Crown Heights? Oh, most certainly not. What’s there to like — Chabadniks recruiting you to the yeshivah? A constant sense of aesthetic displacement? Food that way too closely resembles your great-grandmother’s chopped liver? When it comes to food in Crown Heights, it turns out there’s a lot more to like than your bubbe’s chopped liver. 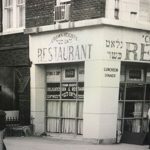 This weekend, I attended “A Taste of Crown Heights,” Crown Heights’ inaugural kosher food crawl, and confronted my negative perceptions and taste buds head-on. As if to stack the cards even further against the local eateries, I recruited the only other Jew I knew to be the grandson of a kosher butcher, yet remain even less inclined to gorge on “Jew food” — my brother, Justin. On Sunday, we emerged from the Kingston Avenue subway to find ourselves in a brave new world. As far as the eye can see, we were in the only men without tzitzit and a firm grasp of kashrut laws. Chabadniks swarming to give us tefillin? Check (three times); one guy easily called my bluff when I tried to ward him off by claiming I had “a little tefillin” earlier that day. Reprinting articles from the Forward is like reprinting articles from Al Jazeera and Der Stürmer. You encourage people to look at the sites and publications. And what’s the big deal if somebody who normally eats Chinese, Italian and Middle Eastern says the kosher versions aren’t so bad? You have come a long way baby.What is next? Crown Heights hot dog?